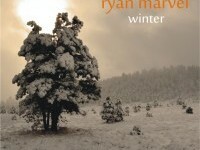 Ryan Marvel is a native of Colorado, growing up in Durango. He attended NAU in Flagstaff, AZ for piano performance. With a classical background, Ryan began to explore composition and arranging at a young age. In 2005, he released his first solo album, “Left Hand, Right Hand”, a collection of Rachmaninoff, Chopin, Gershwin, some original arrangements and two original works for piano, including the evocative “Rainfall”. In June 2010 he followed with a record of all original material, “Possibilities”. A “musical journey of personal reflection”, the album has been nominated twice for Album of the Year honors, by SoloPiano.com and Whisperings Piano Radio, respectively. 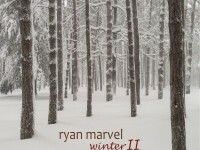 And in November 2013, his first seasonal album, “Winter” was released. A collection of holiday music, the CD also features guest musicians on three tracks, adding flute, cello and didgeridoo. The title track is a new original composition reflecting on the stillness and depth of the season. The album was also nominated for Album of the Year honors by SoloPiano.com. 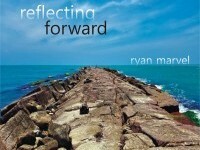 Ryan released “Reflecting Forward” October 2017. A collection of all original pieces that represent a personal healing journey with a nod to the past and a step to the future. All pieces were born from a place of personal challenge and reflection, and have very deep meaning to Ryan. The album won Album of the Year 2017 by Whisperings Solo Piano Radio AND SoloPiano.com. Ryan served as Director of Music and Choirs at Foothills Unitarian Church in Fort Collins, CO from 2006-2017. Since moving to the area in 2005, he has performed around the Front Range as a pianist, including as a featured soloist with the Front Range Chamber Players. Ryan performs house concerts frequently and is demand as an arranger and performer. He maintains a full private piano studio, collaborating with students of all ages in areas of classical, jazz and original composition. Ryan is an avid independent arranger and composer, and current projects include creations for SATB choir and collaborating with songwriters for studio sessions. In his spare time, he loves to be outdoors hiking, skiing and camping. Passions include family, wolves, nature, red wine, really good coffee and sleeping until 11:00. Ryan’s true love is daughter Elena Rose, affectionately called “Lanie”.